Dave Smith, the founder of Walt Disney Archives, died earlier today at the age of 78. Dave was hired in 1970 by Walt’s brother—and The Walt Disney Company co-founder—Roy O. Disney, and his first responsibility was cataloguing every item inside Walt’s office suite, which had been left untouched after Walt’s passing four years prior. Thanks to Dave’s meticulously detailed notes and records, the Archives was able to restore the suite in 2015, and today Disney employees are able to visit and draw inspiration from this remarkable space. During his time as Disney’s Chief Archivist, Dave grew the Archives from a simple one-person department to a model among corpo­rate archives. He was regarded by fans and historians as the final authority on matters of Disney history, and was an active member of the Society of California Archivists. He served from 1980 to 2001 as Executive Director of the Manuscript Society, an international association of collectors, dealers, librarians, archivists, and others interested in manuscript material. Born and raised in Pasadena, California, the child of librarians and educators, Dave earned a B.A. in history and a Master’s Degree in Library Science from the University of California at Berkeley. Before coming to Disney, he gained library and archives experience working in the Manuscript Department of the Huntington Library in San Marino, California, interning at the Library of Congress in Washington, D.C., and serving on the staff of the Research Library at U.C.L.A. Dave wrote extensively about Disney history, with regular columns in Disney fan publications and websites, as well as authoring, co-authoring, and editing numerous articles and books on Disney history, including the official Disney encyclopedia Disney A to Z, Disney: The First 100 Years, The Quotable Walt Disney, Disney Trivia from the Vault, and The Ultimate Disney Trivia Books 1, 2, 3, and 4. In October 2007, Dave was honored with the prestigious Disney Legend Award. A resident of Burbank, California, Dave retired in 2010 after his 40th anniversary with The Walt Disney Company and continued working for the next nine years as a consultant for the Company, with the title of Chief Archivist Emeritus. Our condolences and thoughts go out to his family and friends at this time. Dave Smith was a true Disney Legend. I’ve met him once and he was the real deal. I loved his books and his ‘Ask Dave’ contributions in The D23 Magazine twenty-three. Dave will be missed. According to multiple sources citing sources within the The Walt Disney Company, 49 year old Magic Kingdom Vice President Dan Cockerell will be retiring next month. Dan, who is the son of former Vice President of Operations Lee Cockerell, became the Magic Kingdom Vice President in 2015 during a reshuffle which saw long-time Magic Kingdom Vice President Phil Holmes move to the Studios Vice President role in a leadership swap. Prior to the move, Dan was the Vice President of Epcot. Dan has been with Disney for 26 years. According to the sources, Cockerell will be starting a speaking and consulting company, with plans to travel. Disney has not yet named a replacement. Cockerell’s final day will be May 11, 2018. Walt Disney has already delayed the departure of longtime chairman and CEO Bob Iger a few times. But if a much-hyped (and, currently, only rumored) acquisition of 21st Century Fox actually does happen, then Iger reportedly could extend his tenure beyond his currently planned July 2019 retirement date. The Wall Street Journal reported on Wednesday that Disney’s board is likely to extend Iger’s contract once more if the company’s reported negotiations to buy a large chunk of Fox’s entertainment assets do, in fact, result in a deal. Rumors that Disney may be talking to Fox about acquiring most of the latter’s movie and cable TV assets, including its valuable regional sports networks, first popped up in early November. Now, reports peg the value of a potential deal at anywhere from $40 billion to $60 billion, based on anonymous sources, with the companies possibly set to reach a final agreement as soon as next week. In March, Disney’s board officially extended Iger’s contract until July 2019, marking the third (at that time) postponement of his planned retirement from the company. The chief executive, who took the reins at Disney in 2005, had most recently been set to retire in the summer of 2018. The main reason for Iger sticking around has been Disney’s inability to name an heir apparent, though Fox’s James Murdoch is now being floated as a potential successor if the deal is finalized. Disney is coming off a recent fourth quarter that fell short of Wall Street’s earnings expectations, marked by the continuing struggles of the company’s television unit. Meanwhile, the company is looking to mount a huge challenge on the streaming front, with plans to launch two standalone streaming services—one dedicated to live sports and another for movies and TV—over the next two years. So, it’s possible that Disney would prefer for Iger to stick around a bit longer to oversee the aftermath of a potential megadeal and the packaging of Fox’s vast entertainment assets with Disney’s for the two streaming services. The Walt Disney Company has committed $2.5 million to help relief efforts for those affected by Hurricane Irma. The donation will help aid humanitarian relief across Florida, the Caribbean and other places that Hurricane Irma has affected. The American Red Cross, UNICEF, Save the Children and other nonprofit organizations will be supported by the money. Donations from Disney employees to eligible relief organizations will be matched by Disney Employee Matching Gifts: A Program of The Walt Disney Company Foundation. In addition, eligible Disney employee donations to qualified organizations involved in the Hurricane Irma relief effort will be matched dollar for dollar by Disney Employee Matching Gifts: A Program of The Walt Disney Company Foundation. During Hurricane Irma, Walt Disney World and the Disney Cruise Line donated meals, provided storage for supplies and power-utility vehicles, donated bedding to shelters, and made rooms available for first responders. Disney will also be donating goods and services throughout the region as other needs are identified. The donation comes after Disney raised almost $16 million to help relief after Hurricane Harvey, which devastated Houston, TX and the surrounding areas. The number includes donations to the American Red Cross, employee donation matching and money raised across the company though initiatives, social media outreach, campaigns in Disney Stores and more. The Walt Disney Company and Houston ABC affiliate KTRK jointly announced that they have pledged $1 million to the Red Cross to go toward Hurricane Harvey relief efforts. In addition, Disney is matching, dollar for dollar, employee donations to the American Red Cross and other organizations involved in Harvey relief efforts. Disney ABC Television Group will also host a Day of Giving on Aug. 31 to raise money for hurricane relief. Starting in the morning with local affiliates and ABC’s Good Morning America, and continuing throughout the day on ABC, Freeform, Radio Disney and DATG social platforms, there will be a call-to-action to donate to the Red Cross. Disney joins a number of organizations and public figures who’ve pledged sizeable donations to Hurricane Harvey relief efforts. The Houston Rockets have donated $4 million to Mayor Sylvester Turner’s relief fund, the Astros have pledged $4 million to relief efforts and the Texans have pledged $1 million to the United Way of Greater Houston Flood Relief Fund, which the NFL Foundation agreed to match. Texans star JJ Watt launched his own fund, which has raised nearly $1.5 million as of Tuesday morning, thanks in part to a $50,000 donation from newly acquired Rockets player Chris Paul. Outside of Texas, the New England Patriots and owner Bob Kraft will match up to $1 million in Red Cross donations. Amazon and Whole Foods agreed to match cash donations to the Red Cross made on Amazon.com up to $1 million. Apple made a $2 million donation to the Red Cross over the weekend and will match employee donations two to one. And Microsoft announced a $100,000 grant to the Red Cross. Meanwhile, Houston native Beyonce is working to implement a plan to help “as many as we can.”Kevin Hart has donated at least $50,000 to relief efforts and called on stars like Jay-Z, The Rock, Chris Rock, Dave Chappelle, Jerry Seinfeld, Steve Harvey and Justin Timberlake to contribute. Kris Jenner said Tuesday that she accepts Hart’s challenge and that she and her daughter will be donating $500,000 to the Red Cross and Salvation Army. The Walt Disney Co. said Thursday that Bob Iger is extending his tenure as CEO again. Set to retire from the entertainment giant in June 2018, Iger has now re-upped his contract until July 2, 2019 amid concerns among industry observers that there is no heir apparent within the company’s executive ranks. For his consulting services, Iger will receive a quarterly fee of $500,000 for each of the first eight quarters and $250,000 for each of the last four quarters of the consulting period. “For the three years following termination of employment, the company will also provide Mr. Iger with the same security services (other than the personal use of a company provided aircraft) as it has made available to him as chief executive officer,” the filing said. Former Disney COO Tom Staggs was considered Iger’s likely successor until his abrupt departure last spring. At the time of Staggs’ exit, the Disney board vowed to “broaden the scope of its succession-planning process to identify and evaluate a robust slate of candidates.” It has since been mum about its succession planning. At the time, industry observers mentioned Facebook COO and Disney board member Sheryl Sandberg as a possible candidate. Disney’s stock as of 11:10 a.m. ET was up 0.7 percent at $112.88, near its 52-week high of $113.16. Otherwise, experts cited industry executives who all seemed happy in their respective jobs, such as NBCUniversal CEO Steve Burke. Under the leadership of Iger, who turned 66 on Feb. 10, Disney has done well. The company has said that total shareholder return during his tenure has been nearly twice that of other entertainment conglomerates. Iger’s latest extension marks a change of mind for the executive. He originally planned to step down as Disney CEO in 2015 after running the company for a decade. But he extended and then did so again a year later. Back then, he said about his plans to depart in mid-2018, “I really mean it.” Succession at Disney seems a perpetually thorny going back decades when Jeffrey Katzenberg and Michael Ovitz each jockeyed to take over from Michael Eisner. When Eisner finally stepped down in 2005 it was under such strenuous conditions that even Roy E. Disney, the founder’s nephew, was publicly attacking him. The Walt Disney Co. is working with a financial adviser to evaluate a possible bid for Twitter Inc., according to people familiar with the matter. After receiving some inbound interest, Twitter started a process to evaluate a potential sale. Salesforce.com Inc. is also considering a bid, working with Bank of America on the process, according to other people, who declined to be named because the matter is private. Representatives for Twitter and Disney didn’t immediately respond to requests for comment. Speculation that Twitter will be sold has been gathering steam in recent months, including last week’s news about Salesforce’s interest. Twitter’s share price soared 21 percent Friday following reports of the talks. Disney, if it decides to make a bid, would be able to help the company further its video-streaming media strategy. Jack Dorsey, chief executive officer of Twitter, is also on the board of Disney. The Walt Disney Co. is giving $1 million to a fund created to help support victims of Sunday’s mass shooting. The City of Orlando went live Tuesday with the One Orlando Fund, which will support the organizations involved in the recovery efforts after the events at Pulse nightclub. Mayor Buddy Dyer announced the One Orlando fund at Monday night’s vigil at the Dr. Phillip’s Center for the Performing Arts, including a $500,000 donation from Darden Restaurants, and $100,000 donations from air carrier JetBlue and the Orlando Magic. Disney’s donation was confirmed by the City of Orlando. 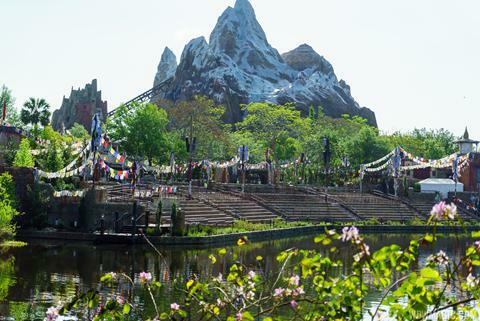 The Jungle Book: Alive with Magic will begin on May 28th at Disney’s Animal Kingdom with two shows nightly. The first show will be at 9 PM, with the second show being at 10:30 PM. Because of the timing of the show the park will be open until 11 PM. 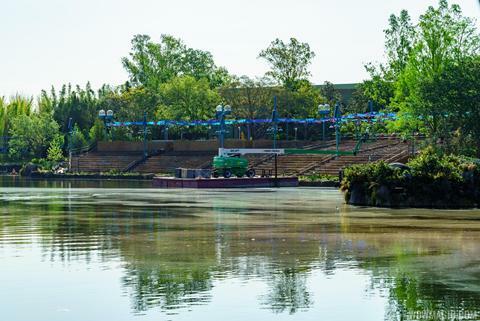 FastPass+ guests will be seated in the theater on the Asia side. Standby and dining package guests will be seated on the DinoLand side theater. The show is approximately 20 minutes long. Guests with strollers seated on the Asia side will park their strollers near the gibbon exhibit. Guests on the DinoLand side with strollers will park in the Finding Nemo stroller parking area.